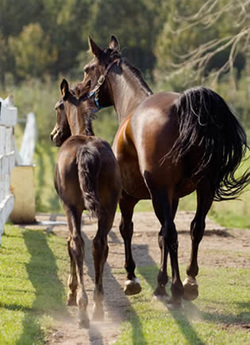 ​Work co-operatively with HRA to grow and develop the Breeding Industry in the Province of Alberta. ​Position Alberta-Bred as a recognized and marketable product, able to compete at the National and International level as racehorses. To try innovative and progressive new ideas with improvements to existing programs. Strengthen the quality of Broodmares and Stallions in Alberta, and foster an environment where breeding farms are commercially viable. To ensure the resources are available for future growth and development of Alberta’s Breeding Industry. All partners in the Horse Racing Industry will work co-operatively to enhance and improve the Breeding Industry.